Once upon a time there was the Sofitel Marrakech Lounge & Spa hotel. 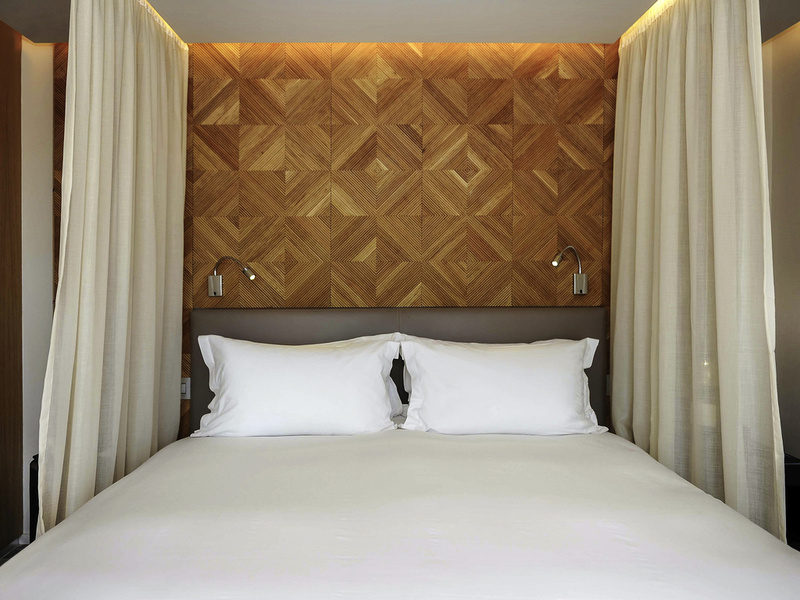 In the city's chic Hivernage district, an oasis of calm and elegance awaits you in a world of light and comfort. From your elegant room with its color palette of gold, white and beige tones, enjoy breathtaking views of our indoor pool and garden: palm trees, bougainvilleas, not forgetting the magnificent snow-capped Atlas mountains. 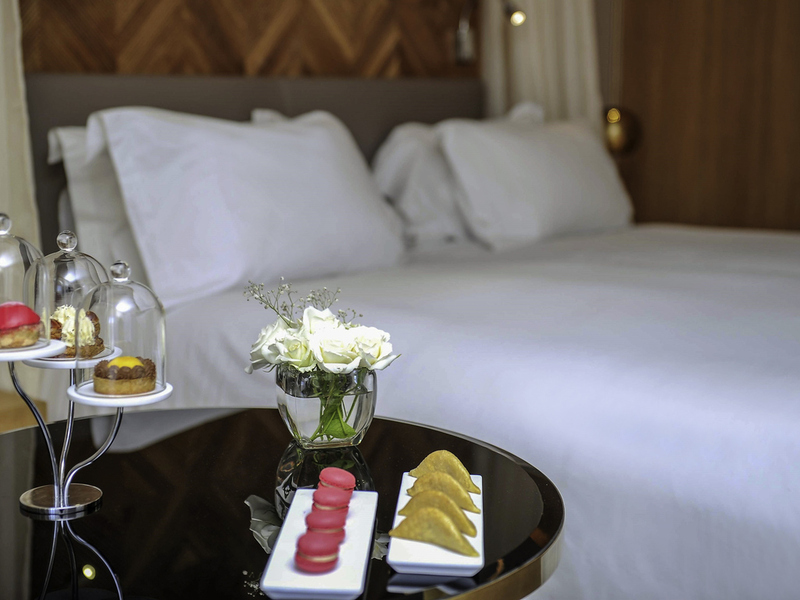 Embark on a magnificent journey combining modern Moroccan style with a French welcome. Explore this magical and mysterious city under the watchful eye of the snow-capped Atlas mountains and lush gardens. Life is Magnifique in Marrakesh.. 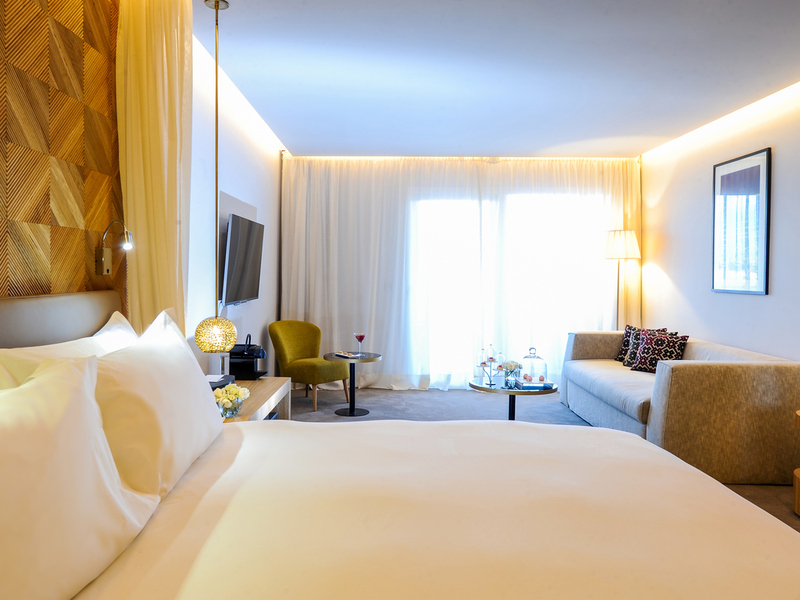 In upscale Hivernage in Marrakech, you're a stroll from Marrakech's best attractions, museums, restaurants, casinos and famed Jemaa el Fna square. Browse luxury boutiques or dive into the Medina's madness: return to leafy calm and tinkling fountains. Sofi tel Marrakech Lounge & Spa is a short drive from Marrakech Menara airport. Arrange a limo pick-up or take the Hivernage exit off the Casablanca highway. Trains from Fès and Casablanca arrive daily. Enjoy the magic of your designer suite. 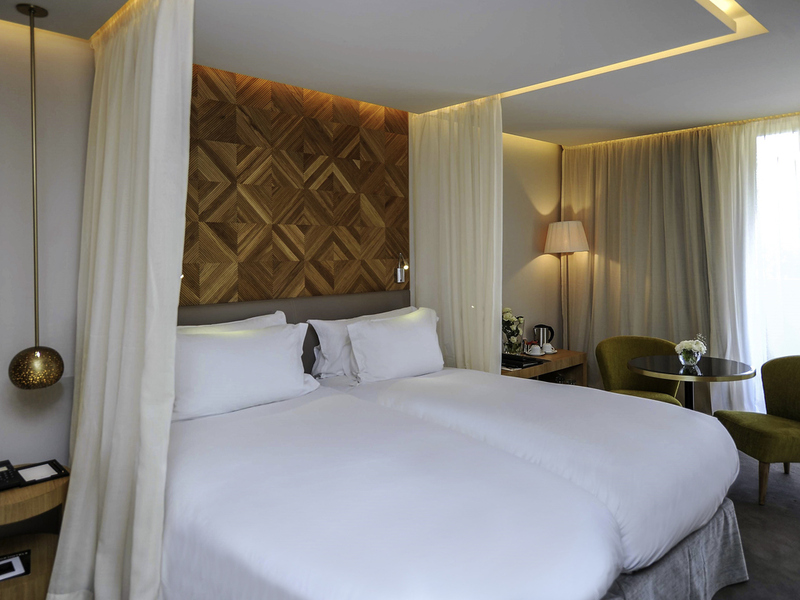 Generous proportions and luxurious furniture will ensure that you enjoy the best of Marrakesh in a relaxed atmosphere. And you'll love the stunning panoramic views from our beautiful shaded terrace. Elegant and refined room measuring 323 sq. ft. (30 m2), balcony with views over the city, bathroom with shower, Lanvin welcome products, hairdryer, WIFI, satellite/cable TV, minibar, safe, Bose radio/CD player and air conditioning. 323 sq. ft. (30 m2) room with Moroccan decor, balcony overlooking the gardens and pools, bathroom with shower, Lanvin welcome products, hairdryer, WIFI, satellite/cable TV, minibar, safe, Bose radio/CD player and air conditioning. 474 sq. ft. (44 m2) suite with Moroccan decor, terrace overlooking the street, lounge area, marble bathroom with tub, Lanvin complimentary items, hairdryer, satellite/cable TV, WIFI, minibar, safe, Bose radio/CD player and air conditioning. Stylish and elegant 732 sq. ft. (68 m2) suite, terrace with mountain views or at garden level. Lounge area, marble bathroom with tub, Lanvin complimentary items, hairdryer, satellite/cable TV, WIFI, minibar, safe and air conditioning. Stylishly decorated 474 sq. ft. (44 m2) suite, terrace with views over the Atlas Mountains and gardens. Lounge area, marble bathroom with tub, Lanvin complimentary items, hairdryer, satellite/cable TV, WIFI, minibar, safe and air conditioning. Our gastronomy reveals mouth-watering, elegant cuisine inspired by the freshness of our produce and traditional recipes for truly delicious dishes with a modern twist. A real break, guaranteed to satisfy even the most refined palates. Leave the organization of your event to our Inspired Meeting planners and you can rest assured that our attentive, personalized service will make your event a unique and memorable experience. The Sofitel Marrakech Lounge & Spa hotel is an exceptional location, ideal for your private or professional events. 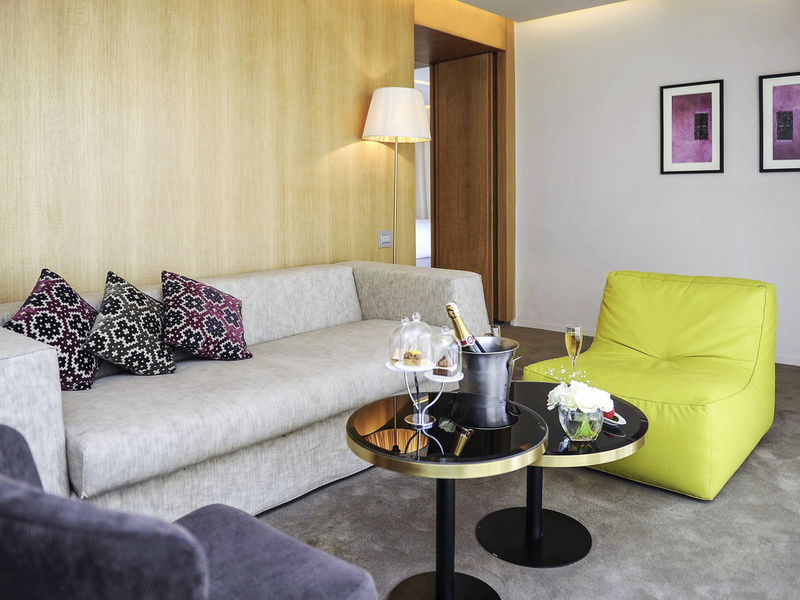 Our Sofitel Lounges welcome you to an inviting setting and are equipped with the latest in technology. ¤ Add another pool at hotel level (Ultimate pool). The So Spa is a true riad, entirely dedicated to indulging the senses and promoting well-being. Our Marisa Berenson products are designed to succeed in what matters most to you: your treatments. Let yourself relax in this haven of peace. The Ultimate Pool with its loungers and net curtains or the children's Kids Suite - so many opportunities to enjoy yourself and make the most of your stay. The service is all that you could wish for: skillful, controlled and personalized. Enjoy a horse-drawn carriage ride or private guided tour of Marrakech, with its art galleries, museums and the Djemaa el Fna square all just 10 minutes from the hotel. Marrakesh: the ultimate golfing destination! Whether you are an amateur or a seasoned golfer, you'll love the beauty of the five courses near the hotel, 9 or 18 holes and breathtaking views of the Atlas mountains. Stress melts away in the cool, quiet space of So FIT, a high-tech Marrakech gym equipped with Technogym cardio machines, Kinesis stretching wall and pilates mats. Follow a personal training program by a professional coach - or international news on TV.